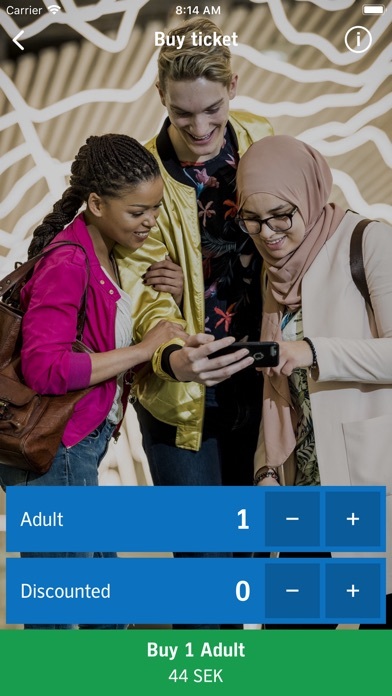 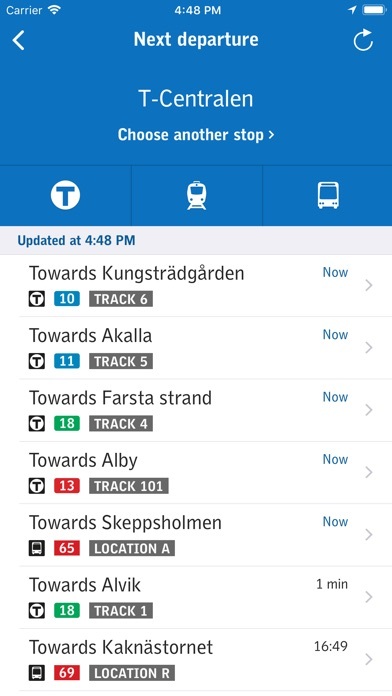 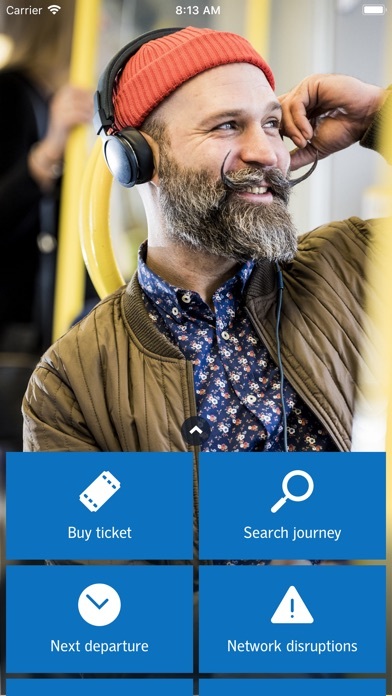 A convenient way to buy single tickets for public transport in Stockholm with SL and get live network service updates. 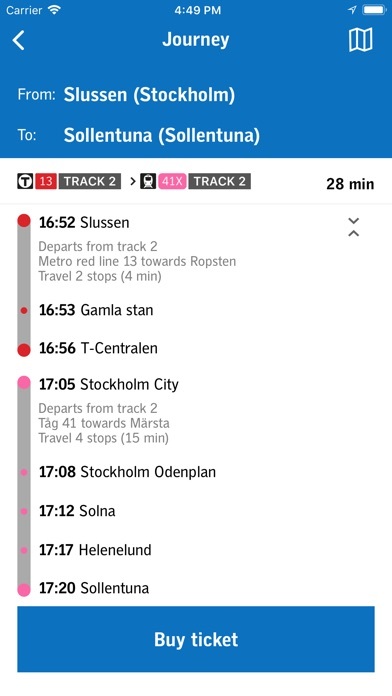 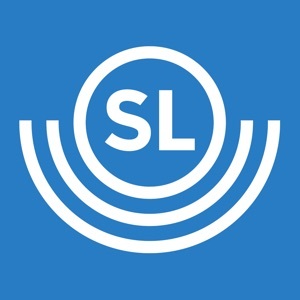 This is the official SL app for buying single tickets and get service updates on public transport in Stockholm. 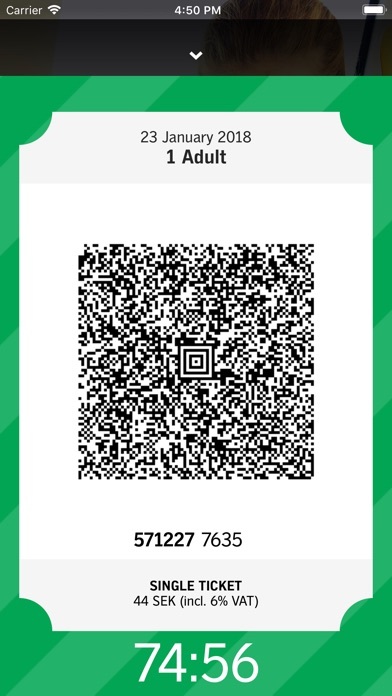 •	Buy single tickets and pay by card or Swish •	Plan your journey with real time information and buy a ticket for that journey •	Check for service disruptions and view the next departure from a certain stop or station •	Manage your tickets and get a receipt for your ticket directly to your email inbox The application will use GPS to find your position for trip searches from your position.